KitNipBox is a monthly subscription box just for cats. Each month, expect a themed selection of toys and treats for your kitty! None of the food products in the box are made in China, though some of the toys may be. All KitNipBox toys are thoroughly assessed for quality and safety by the KitNipBox team. The Cost: $19.99 a month for the “Happy Cat” box and $29.99 a month for the “Multi-Cat” box. This is a review of the “Multi-Cat” box. This was adorable on my kitties although it was kind of difficult to adjust the length and after about the fourth cat, the bowtie part came unglued from the collar part. Probably it should’ve been sewn on instead. The faux leather on this was really interesting to both Sneaky and Angus. They spent a lot of time investigating. This toy also makes noise and is small enough for cats to bat around. This is a little bigger than the briefcase and has a totally different texture, sort of like a fine canvas? It’s hard to describe. But anyway, KitNipBox was really doing a good job with the different toy textures this month. Monkey rubbed his face all over this but it didn’t make for very good pictures. I guess you’d call this a kicker toy. Anyway, the shiny fabric outer part has yet another new texture. Angus and Sneaky were interested in this one, as well. This is lightweight and on the small side for a kicker (which is good, as my cats aren’t into the huge ones). This is fairly large but not heavy and is the only toy (other than the dangler at the end of the wand) with a fuzzy texture. Although I think the string “tail” was the most interesting part for my crew. I was kind of surprised by the value for these on the information card, but when I found them for sale online, it was for the same price. These happen to be a supplement as well as a treat, and it is recommended to give 2-3 per day (although the website where I found them for sale says more are safe, I’m not sure you’d want to run through these as fast as treats that cost 1/3 as much). Sneaky, Monkey, and Madison all enjoyed these. Most months, there is a wand toy in Kitnipbox and I am happy about this. Sneaky and Angus love wand toys and they both had fun with this one. The pencil has a fuzzy texture but I think the stretchy string was honestly the big draw as both of them chewed on it a bit. Angus inspects some of the other toys. This toy earned some chin rubbing from several cats. If the bowtie isn’t looking so good here, it’s because these pictures were the last ones taken before the bow fell off. Monkey wanted to rub his face on everything. I like the look on his face as he thinks about the treats. Monkey is good at posing with bowties. Sneaky enjoyed all the parts of the wand toy. She also liked the treats. She did not care for the bowtie so much. Mr. Kitty gets to model all the costumes because he sits still and doesn’t fight me very much. Verdict: I calculated a value of $39.49 for the February KitNipBox. I know I haven’t provided links for most of the products, and that’s because I can’t usually find these brands for sale at retail prices online. I do occasionally see these brands in other cat subscription boxes, and I have found them at wholesale websites before (just not with retail prices), so while I don’t think you would be able to find some (or all) of these items at stores, I feel like Kitnipbox is probably sourcing them from wholesale suppliers, which is a perfectly reasonable thing to do. Anyway, the pencil wand was probably my cats’ favorite, although all the different toy textures and sizes kept my kitties’ interest this month, and it was fun to try some treats that I’d be reluctant to buy because of the price. Can you still get this box if you sign up today? Your first KitNipBox will ship right after your payment processes, so you should still be able to get February’s box if you sign up now. 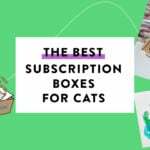 Check out our past reviews of KitNipBox and other great cat subscriptions in the Pet Subscription Box Directory! 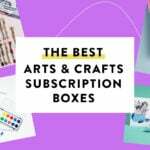 What did you think of the February KitNipBox? Do you subscribe to any cat boxes? Wait — you were able to get the bowtie on Sneaky??? I can get bowties on her. Just not costumes and not usually hats. Also it helped that I was holding a bag of treats. Awwwwww, I too have a cat named Monkey, but hers is spelled Moncci. There is also a Thor and Loki. Thor and Loki are both rescue kitties and Moncci is from Alaska. We got her at the pet store in the Anchorage mall. She is 15 years old. I am thinking about maybe trying the box for my babies. So cool they are !